You're claiming that you don't want this matching set? Ha! 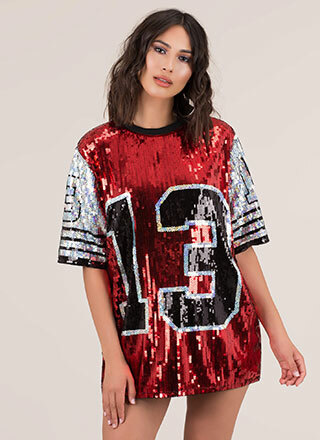 Coulda fooled us... Stretchy, sleeveless, three-piece minidress features a coated metallic material for a foiled look throughout, a high-waisted miniskirt, a wide sash strap that can be tied around the neck or waist, and a cropped, asymmetrical tank top with a one-shoulder design. No closures are included.